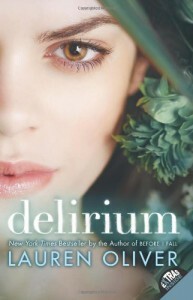 The world-building of Delirium made me appreciate it completely, though I'm not really big on books with love stories or "love will find a way" kinds of plots. I strangely was under the impression (just from word-of-mouth about the book) that people had a legal choice in choosing whether or not they could be cured, so it was a nice and interesting surprise when I found out the contrary through actually reading it. Pacing was good as well, though I must admit, it would have been cooler for Lena to receive the cure and then it not work. The ending of the book seemed to mirror many other dystopian novels, with our protagonist escaping their corrupt regime and joining the resistance. Just once I'd like for the regime to "seemingly" win, and then it would turn out that whatever brain-washing or game they put the protagonist through didn't work. Overall, a decent novel, just not really for me, maybe.